Listen to your feet: they're telling you that your current work shoes aren't cutting it. Are your feet currently safe from slips, falls, dropped tools, and electrical hazards? Honestly, you should be kinder to your feet and get them these Reebok RB4142 Sublite EH S ... (see full details) (see specifications) #RB4142. Listen to your feet: they're telling you that your current work shoes aren't cutting it. Are your feet currently safe from slips, falls, dropped tools, and electrical hazards? Honestly, you should be kinder to your feet and get them these Reebok RB4142 Sublite EH Steel Toe Men's Black Athletic Mid Shoes. They're designed to provide high-quality comfort and protection, which is why your feet will definitely love them. These men's steel toe shoes are constructed with alloy protective toe caps that meet the requirements for the American safety standard ASTM F2413-11 I/75 C/75 EH. The standard is responsible for testing protective toe caps to see if they can withstand the requirements. The alloy toes found in these men's black athletic shoes pass the test, which means it can keep your toes safe in the event of drop impact and compression. That standard is also achieved due to the outsoles included in the design of these men's slip-resistant shoes. The outsoles are made from rubber and therefore capable of protecting you in the event of contact with electrical current, or electrical hazards, as the standard notes. The outsoles offer more than just protection from electricity. These men's Sublite Cushion shoes are slip-resistant. That's right: no more close-calls with wet surfaces while you're wearing these athletic EH shoes. They have the mark II low contaminant SR rating oily/wet .52. You won’t have to worry about avoiding slick surfaces. Instead, while you're wearing these Reebok safety toe shoes, you’ll be able to focus on work. Last but certainly not least, these men's EH shoes are super comfortable. They're designed with an athletic look and feel, rather than the bulky, heavy sensation you get when you wear a pair of work boots. They feature Sublite Cushion to comfort and support your feet. The Sublite Cushion works by making sure you don't suffer from repetitive contact with the ground. When it comes to your hard-at-work feet, give them what they deserve and what they want: comfort and protection. These Reebok RB4142 Sublite EH Steel Toe Men's Black Athletic Mid Shoes will please not only your feet, but they’ll please you, too. Best of all, you can get them here at Working Person’s Store today with the simple click of a button. 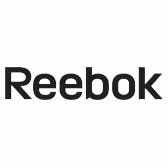 Reebok Shoes: RB4142 Sublite EH Steel Toe Men's Black Athletic Mid Shoes is being added to your cart.